RE/MAX: The #1 name in real estate. Elizabeth Guerrero has been living in the South Florida for over 10 years after moving from Boston with her family. 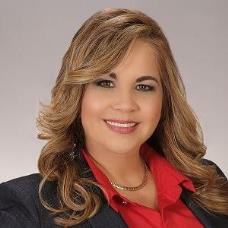 She graduated from InterAmerican University with has a Bachelors degree in English and a Masters in Business. Elizabeth a well rounded realtor, has been working with sellers, buyers, as well as landlords and tenants in South Florida’s real estate market for over 8 years. She became a real estate agent at RE/MAX Advance Realty in 2009 as a result of her passion for real estate. Elizabeth loves the challenges she faces on a daily basis in Real Estate. Her dedication, big heart, professionalism and expertise keep her on top of her clients mind. Everyone loves Miami, its beautiful beaches, restaurants and lifestyle. Tourists visit Miami from all over the world. Her knowledge of the local neighborhoods, school and homes allows her to offer her clients unparalleled excellence in service. Elizabeth has worked every aspect of the real estate industry embracing the leading edge technology to market her listings. She is focused on gaining her buyers and sellers trust all the way through closing. Always strives to lead in the mastery of the residential process to each deal by marketing, educating and guiding her clients.